State requires Manufacturers to account for an Arbitrary E-waste recovery number per year (e.g. RI, MN, VT), based on current or past sales. OEMs obtain bids from several recyclers. Recyclers who collect more actual e-waste ("sweat tonnage") than OEM require are stuck with "orphan tonnage": Ewaste they don't get reimbursed for. Recyclers who 'close one eye', i.e. accept non covered tonnage or state border tonnage have both a price and risk advantage (e.g., I have to pay guys to remove printers from loads in Rhode Island, if I eliminate those staff, my weights go up). Recyclers who make up ghost numbers (add a zero on a truck weight) can sell their "tonnage" to OEMs for less money and have no actual risk of orphan material. The Recyclers who make up numbers increase the risk of those actually collecting. Ghost tonnage displaces sweat tonnage, creating "orphan tonnage". The winners will be companies who broker tonnage. 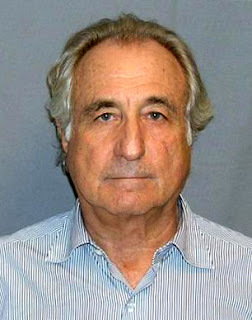 It's like Bernie Madoff needs to get into the E-Waste business. Unicor, you have a big opportunity here! It's a vicious cycle, created by arbitrary "command and control" legislation. It will quickly reach a point where recyclers are surrounded by "OEM Assigned" commitments they need to fill, or be put out of business. At that point I'll probably sell Good Point Recycling to leave with my integrity intact, as it will become impossible to collect 100 tons of TVs and charge 20 cents per pound when another recycler CLAIMS to have collected 200 tons of TVs and charges 10 cents per pound, and a third recycler claims to have collected 400 tons of TVs and charges 5 cents per pound. If an honest recycler blows the whistle, he/she is injuring a group of Manufacturers who never asked to get into this business, they were legislated into it. They watch growing market share of new electronics products made by unknown or invisible Chinese companies who don't have a clue. If I own stock in the OEM, I guess I'd want them to shrug, buy ghost tonnage, and hope that the Stewardship Laws serve as a Japan-style non-tariff barrier to entry in USA sales markets. If the secondary market loses material that might have gone into the gray market, it wasn't my intention but I'll take it. If stuff gets recycled, cool. The states with these "command and control" version Stewardship Laws will soon be stuck in the position that CIWMB / CalRecycles found itself in, chasing after pieces of paper... or just declaring victory and publishing they have collected 400 tons at 5 cents a pound and recommending other states pass the same laws.